The Kimpton Scent—made famous by the Kimpton hotel guests who go bananas over it—is at once citrusy, spicy, earthy and fragrant. The Kimpton Scent Room Diffuser uses cutting-edge dry air technology to freshen approximately 800 square feet with this irresistible bouquet. 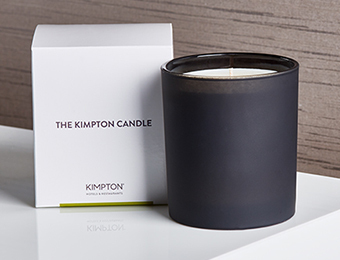 The diffuser comes with one complimentary cartridge of The Kimpton Scent. But don’t worry, you can buy refills.